This is what comes to mind when you step on the land of the López Heredia-Viña Tondonia’s vineyards. When you arrive to their door, you are warmly welcomed by Elvira. 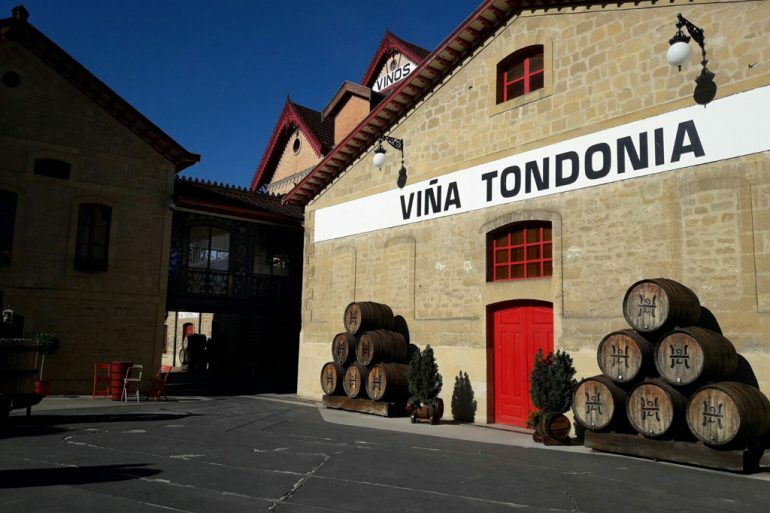 This family has dedicated more tan 150 years in Haro (Rioja-Spain) to produce exceptional wines, and after we see all the prizes and recognitions that they have won, we can definitely say they have accomplished it. There is much talk today in the business world about the importance of legacy. In this case it is evident. Rafael López de Heredia left them his strength and passion in inheritance; as well as an icon of its passage through these vines: a modernist stand made for the Universal Expo in Brussels in 1910. His great-grandchildren wanted to safeguard this jewel and sought an architect who understood the depth of the project. Zaha Hadid (Pritzker 2004) protected the facility under a transparent flask, which also houses the shop and a tasting room. However there are many things that remain intact in this winery. For example, the cooperage. The only one in Spain at present, hand-crafts all the barrels used to age their wines. We were lucky enough to access the labyrinth of the wineries with a very special group of wine lovers. Built on rocks, it is impressive the solidity and grandeur of a tectonic complex called “The Wine’s Cathedral “. If you want to share this experience with us, you must know that there is an essential requirement of access: emotion.